Never miss another parish event. Stay up-to-date on parish news. 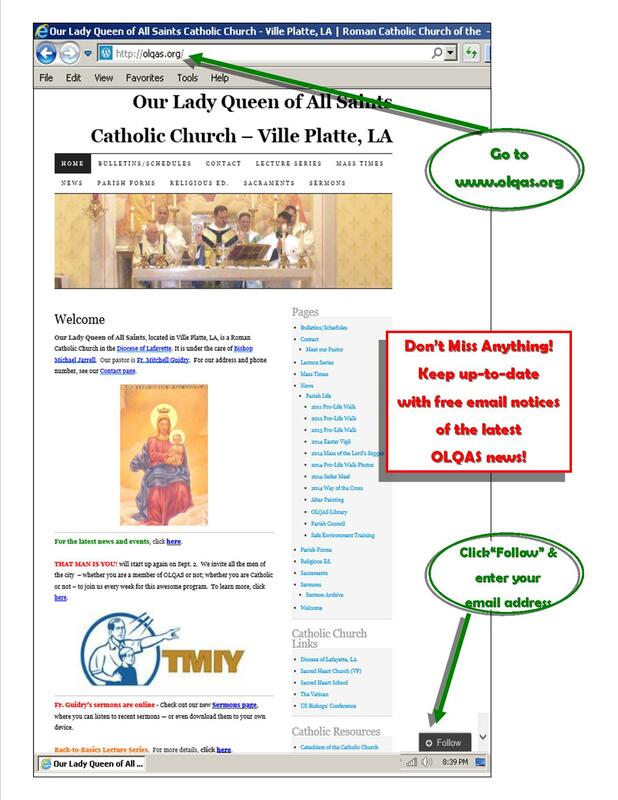 You can receive free automatic Email updates from Our Lady Queen of All Saints Church. Click the image below for instructions on how to receive the email updates. If you already get these updates, then forward this to your family and friends, so that they stay up-to-date. 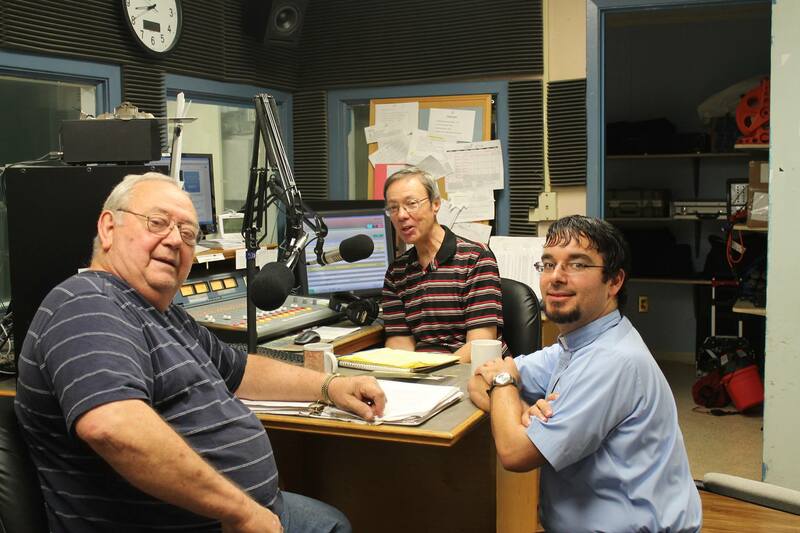 KVPI Radio and Our Lady Queen of All Saints Catholic Church are a match made in Heaven! 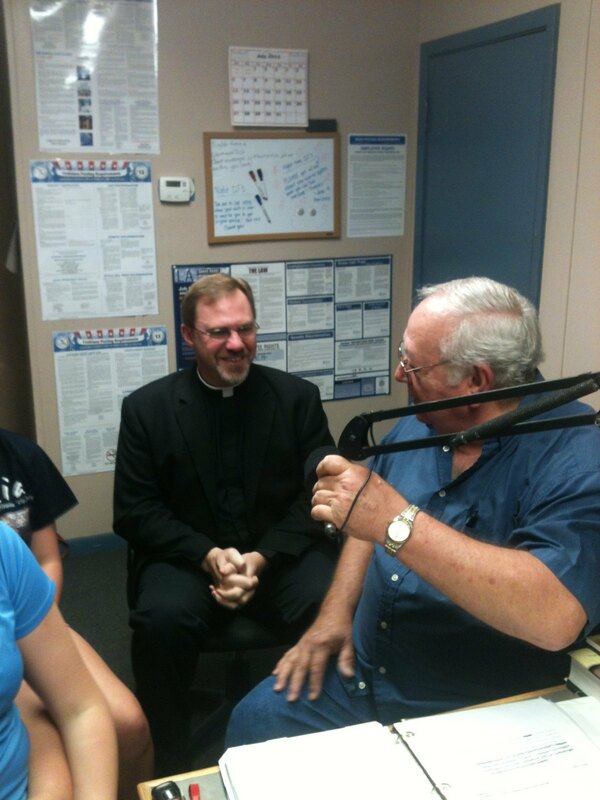 In the past two months, KVPI Radio has featured our pastor (Fr. Mitch Guidry); our parochial vicar & former parishioner (Fr. Brad Guillory); and a former parishioner – and current Sacred Heart pastor (Fr. Jason Vidrine) on it’s Tasse de Café program. Fr. Mitch Guidry is being interviewed by parishioner Charlie Manuel about the Rome pilgrimage. Fr. Brad Guillory was a guest of Charlie Manuel and KVPI General Manager Mark Layne. Fr. 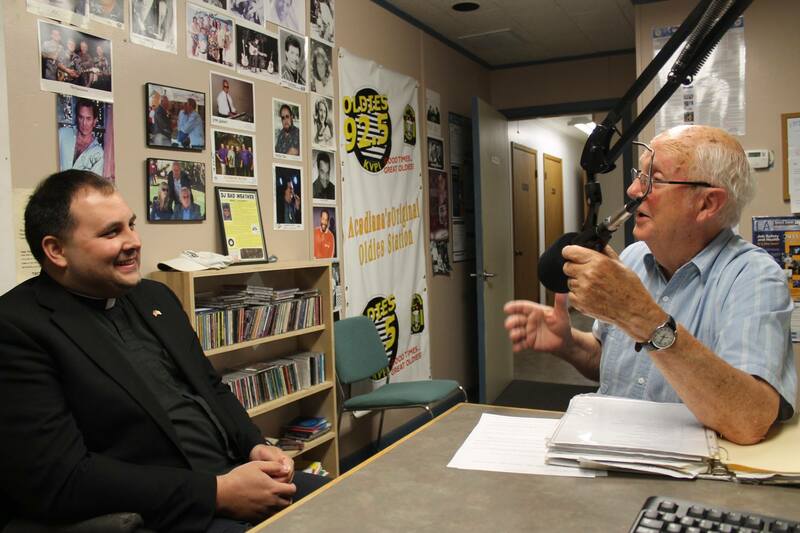 Jason Vidrine is being interviewed by longtime radio personality (and Sacred Heart parishioner) Jim Soileau. Remember, you can catch KVPI on 92.5 FM and 1050 AM. Our 8:30 am Mass is broadcast live over KVPI-AM (see the story here). And, you can download the KVPI app to listen to on your phone and personal media device. To get the app, click here or click the image below. 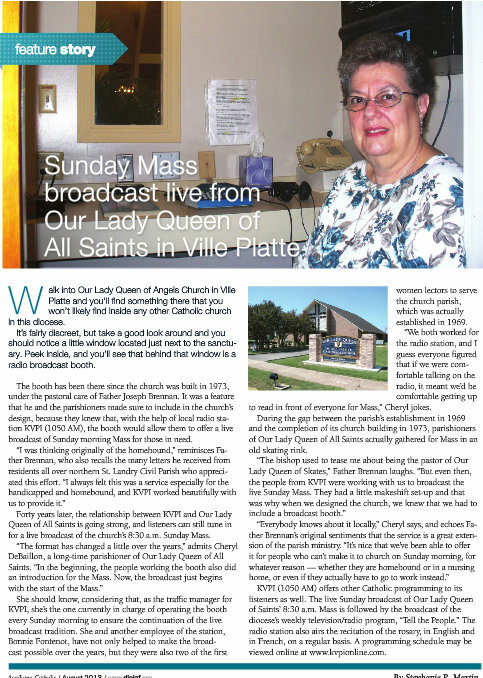 The unique relationship between Our Lady Queen of All Saints Catholic Church and KVPI Radio was highlighted in the recent edition of the Acadiana Catholic (the official magazine of the Diocese of Lafayette, LA). To read the article — and the whole magazine – click here. You can visit KVPI online … and listen online and on your smartphone. For more information, visit the KVPI website and KVPI Facebook page. To read the article, click http://fcweb1.faithcatholic.net/digital/Lafayette/LAF0813/#page=24.